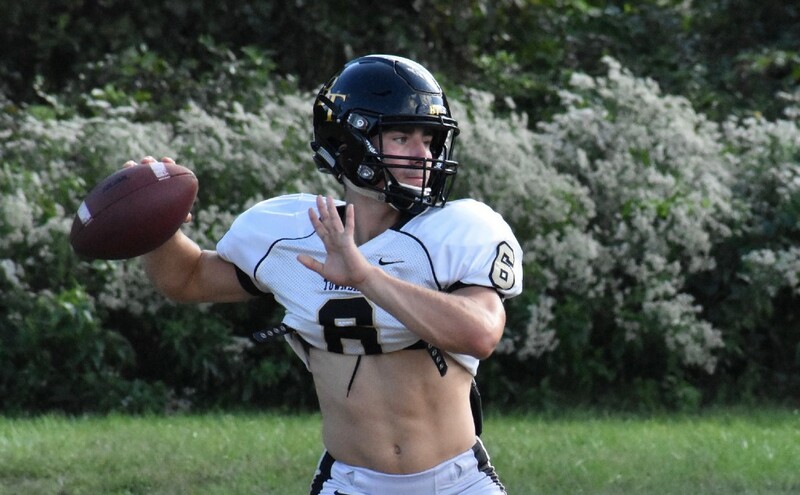 The Falcons senior quarterback talks role models, favorite targets, movies, and what team he’d go watch if he had a Friday night free. 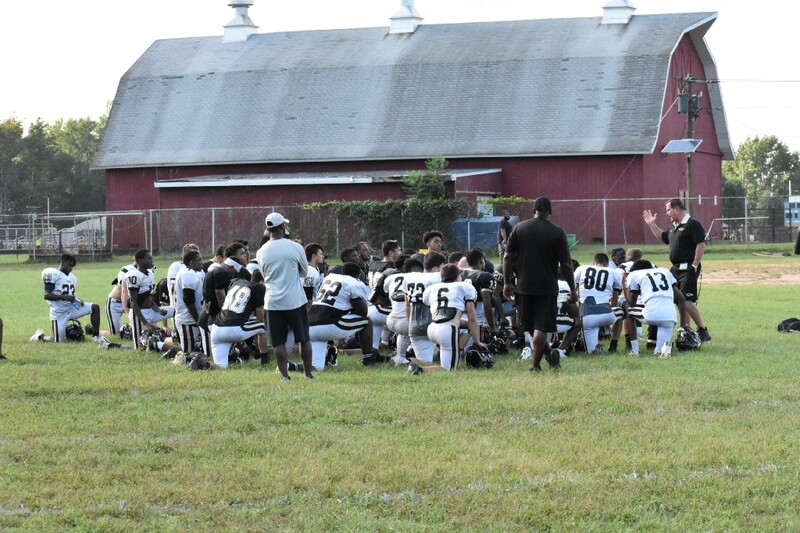 If you look strictly at the numbers, there was a heck of a lot to like about the first three weeks of September for the Burlington Township High School football team. According to statistics from the Burlington County Times, the Falcons entered Sept. 28’s slate of games averaging 287 yards per game and 38.7 points per game, ranking first in all of Burlington County in both. 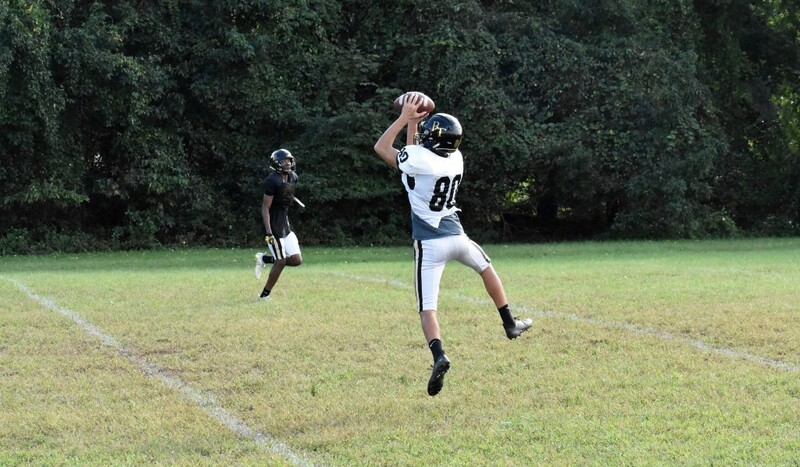 Burlington Township entered their fourth game of the season undefeated in three games, in first place in the West Jersey Liberty Division, and having outscored its opponents 116–15. The schedule will surely get tougher, but perhaps the Falcons’ success isn’t that surprising given all of the senior talent they have on offense, including wide receivers Justin Johnson, Tyrese Ware and Isaiah Pae, who could probably all be top targets on most teams in South Jersey. And then, of course, is there senior quarterback Danny Grozozski. Although he’s listed at 5–9 and 167 pounds, Grozozski plays big: only Cherokee’s Aiden Douglas and Holy Cross’s Andrew Paolini have thrown for more yards in the county. Grozozski’s 6-to-1 touchdown-to-interception ratio is by far the best in the county. After a recent practice, Grozozski talked about the Falcons’ early success in The Sun One-On-One. 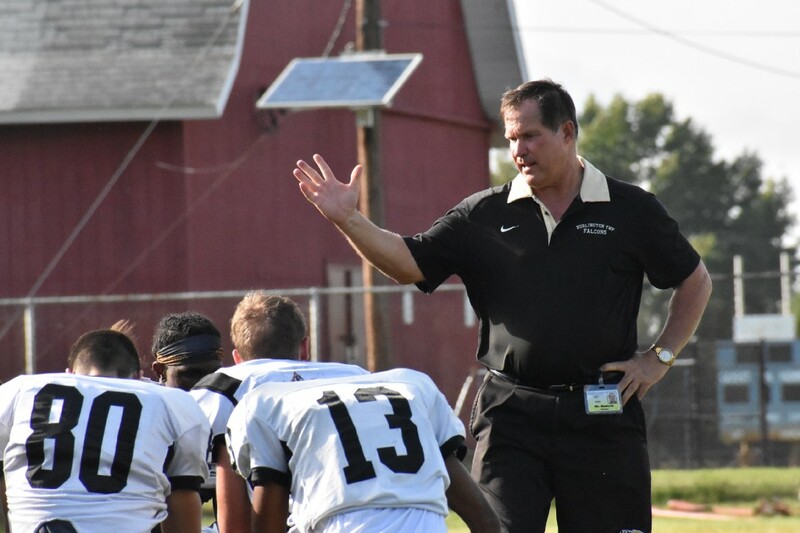 The Sun: You guys are off to a pretty good start (3–0 entering game against Delsea on Sept. 28) but I read where you said you weren’t all that happy with the offensive production. Grozozski: Yeah, last week was not our typical type of game that we like to play, but we roughed it out and came out with a win, which is the most important thing. We left a lot of points out there. And to be honest, we left a lot of points out there in the first two games, too. Our offense hasn’t really reached its height yet, which is a good thing but also a bad thing. We need to clean up the mistakes for the teams we have to play down the road. Grozozski: … have to make sure we limit our mistakes and execute on any given opportunity. The Sun: Would you want to play in college? Grozozski: I mean I’d like to play, but I haven’t talked to any coaches or anything. The Sun: Just trying to enjoy last year of high school for what it is. Grozozski: We’ll see where this season takes me. 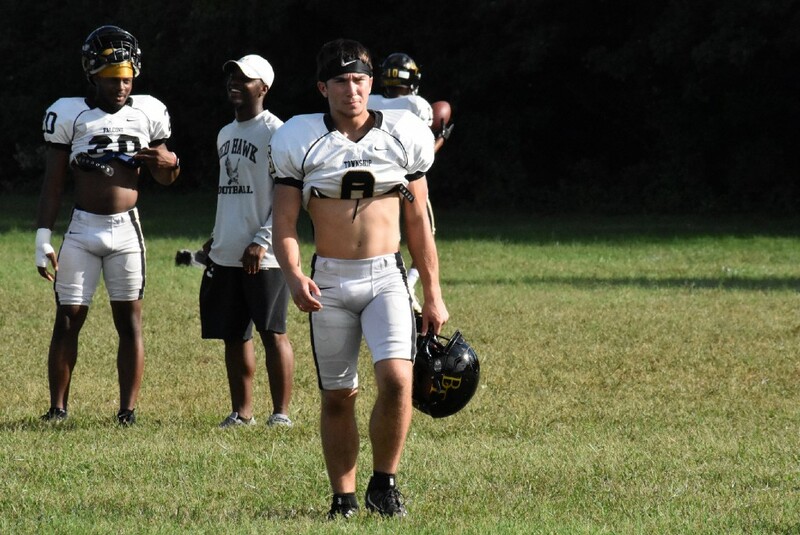 My most important goal is just to win out and bring a state championship to Burlington Township. The Sun: I read where you promised one of our receivers his first career touchdown catch in the first game of the season. How did that go? Grozozski: Yeah (laughs), John (Norris) actually didn’t ply sophomore season because of a head injury that he suffered freshman year. He was being precautious with it and I don’t blame him, head injuries are serious. Junior year he started all year and didn’t catch a touchdown. So I told him coming into this year he’s not going to leave high school without catching a touchdown. He’s going to catch one on Week 1. And it was nice for it to work out that way it did. The Sun: The first one. Grozozski: Yeah, the first one of the year for us. The Sun: Because you have a lot of weapons. That’s the one thing I’ve noticed about your offense, anybody can score, anyone can make a big play. Would you say that’s a team strength? Grozozski: Yeah, we’re loaded when it comes to skill positions. We’re a little weak in other areas, but those guys are also coming along. It’s looking promising. We’re getting better and better each week and we just have to keep stringing together good practices and games and continue to build confidence in each other. The Sun: Let’s have some fun knowing you have a lot of weapons to choose from. It’s first and goal from the five-yard line. Who’s getting the ball? Grozozski: Pass play or run play? The Sun: Ah, see you’re smart. The Sun: I don’t want to give away any game plan secrets [laughs], but who do you have confidence in throwing the ball there? Grozozski: I trust all of my wide receivers. But if I’m going to choose one, ‘Zay,’ Isaiah Pae, he’s 6–5. The Sun: That’s a good target. Grozozski: A good catch radius, so I can throw it up in an area and he’ll go get it. The Sun: How about third and long from your own 45 (yard line)? Grozozski: From my own 45? I’d probably have to go with a speedster in Tyrese (Ware) or Justin (Johnson). They create separation well. The Sun: Very smart and diplomatic, you’re spreading credit around. The Sun: What do you do best? What do you think your strength is? Grozozski: [Sighs]. My strength? [Sighs again]. That’s a hard one. I really don’t try to talk a lot about myself like that, I let other people do that. But my strength (is) probably my intelligence. The Sun: Knowing your guys. Grozozski: Knowing where they’re at, knowing the coverages. I’m not the most physically gifted person, but it’s just using my brain to help supplement what I’m lacking, I think that’s what I do best. The Sun: Your coach(Tom Maderia) is closing in on 200 career wins. Only five active coaches in South Jersey have 200 wins. What do you think he does well? Grozozski: He does a great job of being a leader for the team. He’s a role model we all have to look up to because he’s been there and done that. He’s coached college. Yeah he might seem tough, and you might not always agree with what he’s saying, but he’s doing it for the team and to help develop us as men. And he’s doing a great job with that. We just have to keep following him because he will guide us to a state championship. Grozozski: Favorite subject? Probably math. I don’t enjoy writing that much. I can write pretty well to be honest, but I don’t like being told what to write. Math. The Sun: It’s more cut and dried. The Sun: Where do you see yourself in five years? Grozozski: Hope, hope I’ve graduated college or I’m about to graduate. And maybe, hopefully have played football and started my life outside of it and onto something promising. The Sun: Any idea what you’re interested in? Grozozski: Nah, I do have to figure out what I want to go to college for. The Sun: You’re 17? You have some time. Grozozski: I’m trying to find out what I want do in life. I want to do something with football, though. The Sun: Do you have a role model, someone you look up to, for anything? Grozozski: My pops. Yeah, a lot of people like to have athletes or others for role models, and yeah I have some athlete role models, but overall, my dad (Andy Grozozski). He’s been there, he’s done that, he’s in my life constantly and helped to develop me into the man I am now. There are other people, too, but he’s the most important one. The Sun: Do you have a favorite movie? The Sun: Yeah, maybe something that gets you pumped up. Grozozski: I’m a superhero guy, I love superheroes. Probably “The Dark Knight.” It’s a little cliché; a lot of people say it’s their favorite movie. The Sun: But “The Dark Knight” is a pretty darn good one. Grozozski: It is a great movie. The Sun: You’ve got (Heath Ledger) as The Joker. The whole thing is great. Nothing wrong with that choice. Last one. Say you had a Friday night off and could only go to one game in South Jersey, who are you going to watch? Grozozski: Friday night off … [Sighs]. That’s tough. I mean, probably depend on who we’re playing that week. Grozozski: Yeah, to scout. My cousin (Anthony Grozozski) graduated, he was at Delran, so I would have went to his game. He graduated this past June. Last year I went to see him when we had a bye week. So probably our next opponent, which would depend on who that would be in any given week. The Sun: Smart answer, you don’t want to go as a fan, you want to go to do homework to prepare.